What jewelry is worth and whether it should be insured depend on many factors. Not only can we appraise your jewelry, but we can also help you navigate these questions, as well as what you need to have insured and why. We now have a G.I.A. graduate gemologist, Stephanie Miner, who is available to do an in-depth appraisal for you. This type of appraisal is much more detailed and covers stone plotting, depth and other factors that help identify your jewelry. You can make an appointment with her, and all appraisals are done right on our premises, while you wait. Our appraisals fairly assess the retail replacement value of your jewelry. 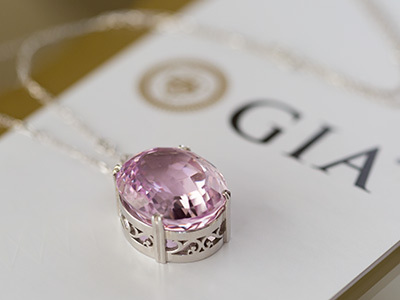 Many insurance companies also use our services for jewelry repair and/or replacement. Set your appointment today to have your jewelry appraised. Established in 1931, the Gemological Institute of America is the world’s largest and most respected nonprofit institute of gemological research and learning. With 1,200 employees, the Institute’s scientists, diamond graders, and educators are regarded as the world’s foremost authorities in gemology. Internationally, the Institute has distinguished itself as the preeminent source of gemological knowledge and professionalism. The GIA Diamond Grading Report and the GIA Diamond Dossier® are considered to be the world’s premier credentials of diamond quality. 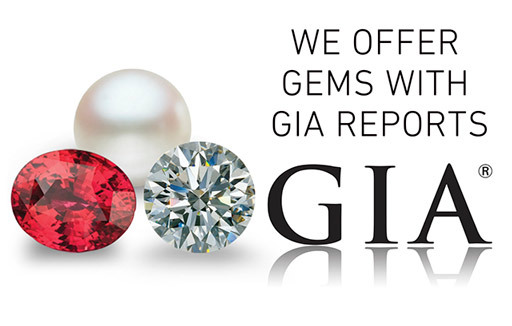 Many retailers provide diamond certification, however no report is as unbiased and complete as a GIA diamond grading report. Diamonds of all shapes and sizes are sent to the Institute from every corner of the globe for diamond grading and analysis.